It feels like I've been driving back and forth to Jefferson and back forever. 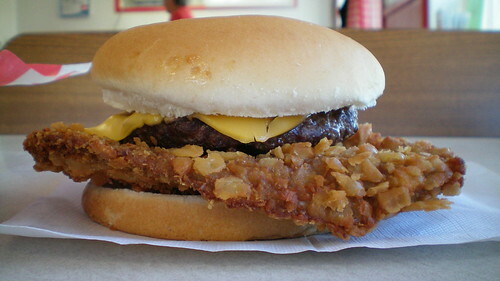 I remember eating a tenderloin at a place by the railroad tracks a long time ago, but its closed up now. 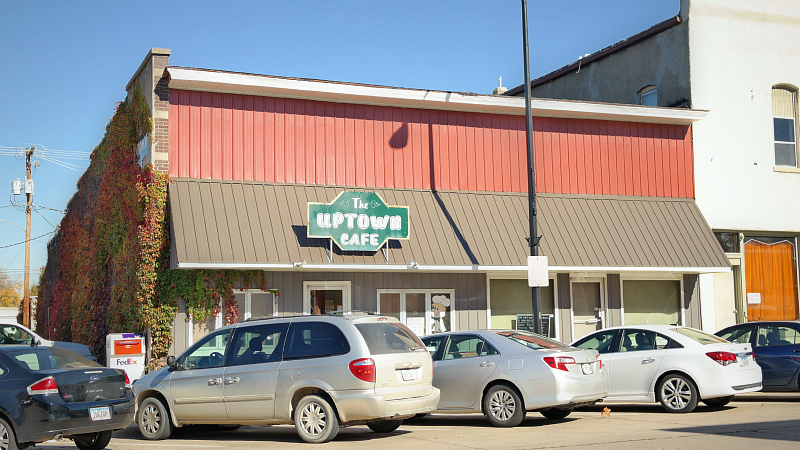 My next spot is the Uptown Cafe between the state highway and the courthouse. 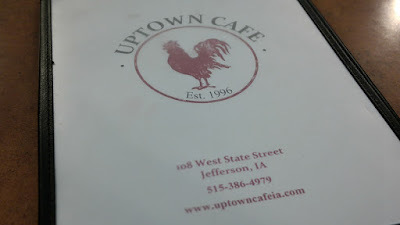 This is actually the second Uptown Cafe since I started this blog, after another in Western Iowa. Location: 108 W State St in Jefferson, Greene County in Central Iowa. 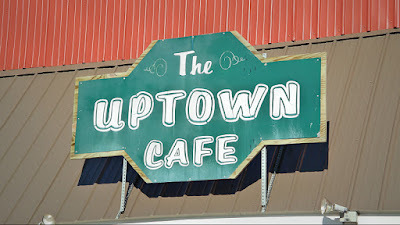 Directions: The Uptown Cafe is on State St between the courthouse and Highway 4 running north and south through town. The Tenderloin: This was a big sandwich that was served on a big bun on a big plate. 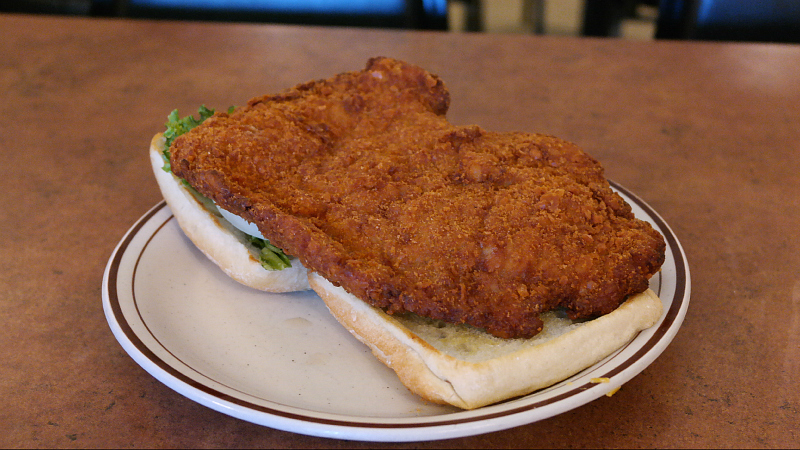 The breading had some crunch but not much of any seasoning. 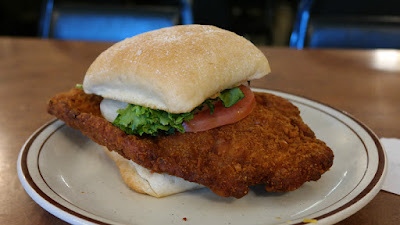 The pork loin was bright white on the inside and steamy moist inside. Served with all the fixins on a toasted ciabatta bun that I just do not understand. Overall 7.8 out of ten. Price: $7.50 with a side. Also on the menu: they serve full breakfasts, sandwiches with confusing names that reference things in the town of Jefferson, and a list of pies is written on the pie board. 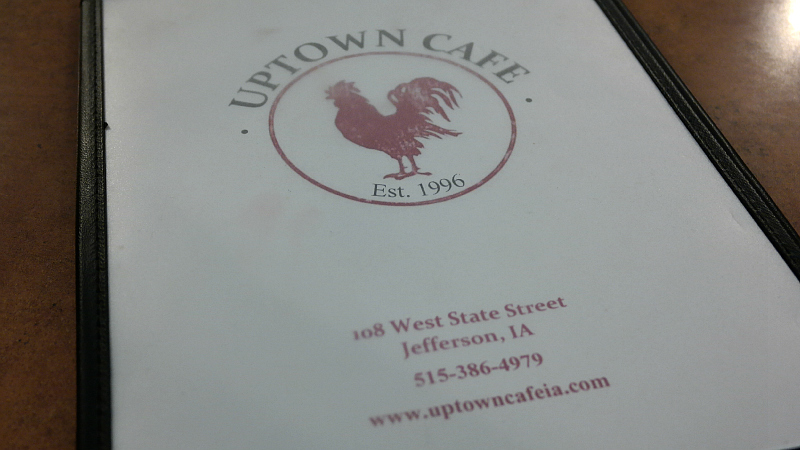 Service: the service was slow when I came in but the waitress apologized for the delay without being asked about it. Ambiance: this place was slightly renovated in the past couple years with some antiques on the wall and exposed wood. There are booths and tables and a separate dining room for seating. Final Thoughts: I had visited this place more than once before without my camera and not much has changed over the years. There is still a pie board, the clientele is still local folks. I might have to step into Ferg's Restaurant in Grand Junction on my next trip through Greene County.